Sweet Pea & Friends: The Sheepover by John and Jennifer Churchman | The Kids Beat | Kids VT - small people, big ideas! 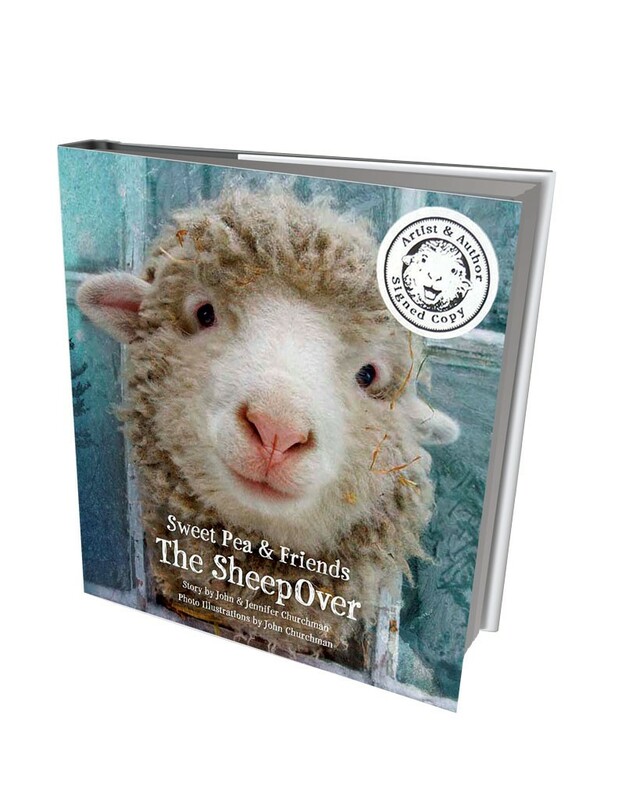 The cuddly lamb who graces the cover of sweet pea & friends: the sheepover by John and Jennifer Churchman is undeniably cute. Jennifer says she once caught a 6-month-old drooling over the photograph. The picture book, which the husband-and-wife team self-published in August, recounts the true tale of the lamb's recovery from an injury last January and the sleepover she had with her farmyard friends when her leg healed. Photographs are layered on top of each other to create captivating images that tell the story with the help of simple text. Jennifer and husband John, a fine-art photographer and graphic artist, live on a 25-acre "picture farm" in Essex. The only thing they produce there is photographs of their cute sheep, ducks and other barnyard animals for clients including the New England Culinary Institute and Vermont Life magazine. When John posted photos of Sweet Pea's leg injury on Facebook last winter, fans began asking for a children's book based on the story. 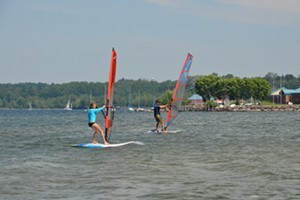 The couple, who have always had picture-book aspirations, didn't need much nudging. What started as a well-received Kickstarter campaign that raised $26,791 to self-publish the book recently turned into a three-book deal signed with publishing giant Little, Brown and Company. Catch the Churchmans — with their border collie, Laddie, in tow — signing Sweet Pea & Friends: The SheepOver at Frog Hollow Gallery in Burlington on Saturday, December 19, 1 p.m.-3 p.m.